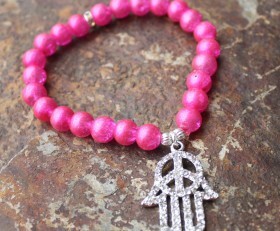 Protect yourself with this beautiful Hamsa Hand bracelet. 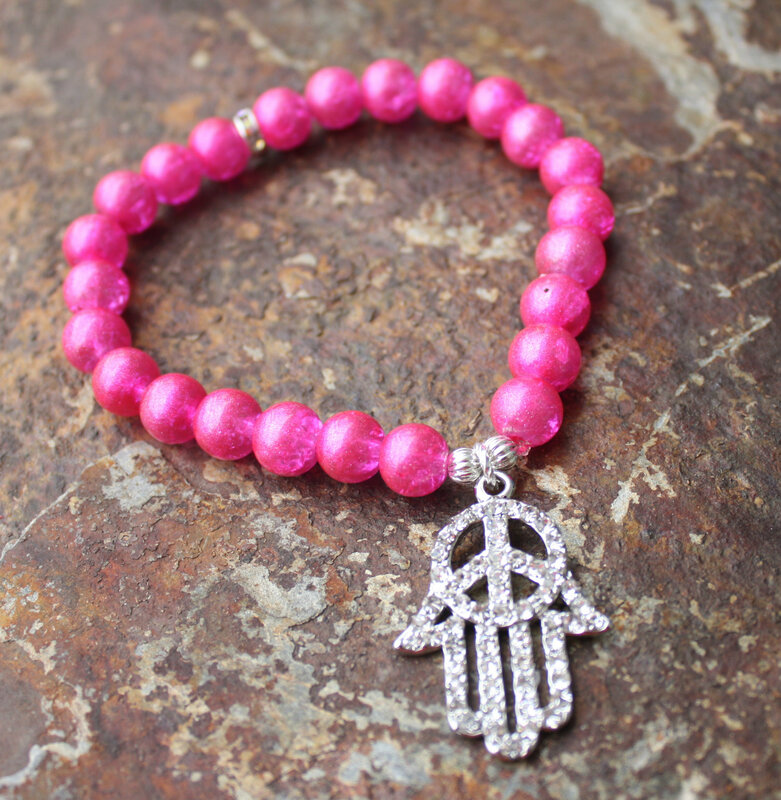 Hot pink glass beads, a touch of bling and a crystal Hamsa Hand with Peace Sign hanging from it. Categories: A Little Bit of Everything, Beaded Bracelets, Bracelets, Shop, Yoga / Zen Life Bracelets, Yoga / Zen Life Jewelry.